Thanksgiving is a beautiful holiday that demands us to acknowledge the blessings in our lives — at least for some people. 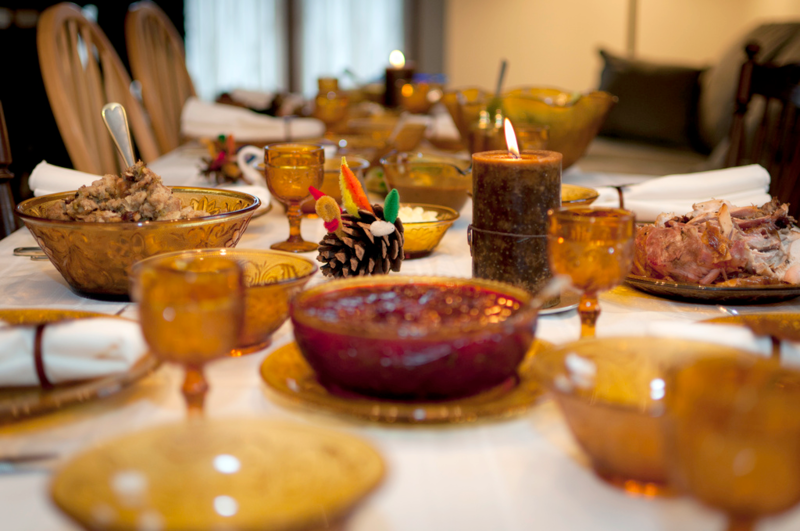 For others, the main attraction of Thanksgiving is the food, a topic that can be deeply controversial. This has the potential to tear families apart, pitting brother against brother and sister against sister. Three highly controversial foods that we find on our Thanksgiving table are cranberry sauce, sweet potatoes and the star of the show, turkey. Cranberry sauce is one of the more interesting foods people consume on Thanksgiving. The controversy in cranberry sauce is whether anyone actually eats it. For something that has “sauce” in the name, it sure does have a texture that highly resembles jelly. I can’t be the only one who is curious as to why cranberry sauce comes in a can. However, it is oddly satisfying to see cranberry sauce taken out of the can, perfectly intact and aesthetically pleasing. Onto the sweet potato, a highly underrated food to begin with. The name itself implies its natural sweetness, which is why my heart breaks a little when I see the vibrant starch drenched in brown sugar and marshmallows. My dear sweet potatoes, you are perfect as you are — oh so sweet all on your own. Lastly, the turkey, the face of Thanksgiving and by far the most controversial food item. While turkey is quite delightful, especially when smothered in buttery mashed potatoes and gravy, kudos to those who fry their turkey. However, is it truly the best choice for the main Thanksgiving dish? I’ll leave that for you to ponder yourself so I don’t ruffle too many feathers. This Thanksgiving, I challenge you to put your opinions aside. Enjoy the company of those around you, even if their Thanksgiving food preferences are highly questionable, we should all just love each other anyway.